If you were at the San Francisco International Film Festival last week, you may have seen the teaser trailer for The Last Black Man in San Francisco. As a part of the festival’s Boomtown: Remaking San Francisco program, this film-in-the-making highlights issues of gentrification through the “fantastical retelling of Jimmie H. Fails’ true-life story.” The narrative focuses on Jimmie’s dream of buying back his childhood home in the Fillmore. 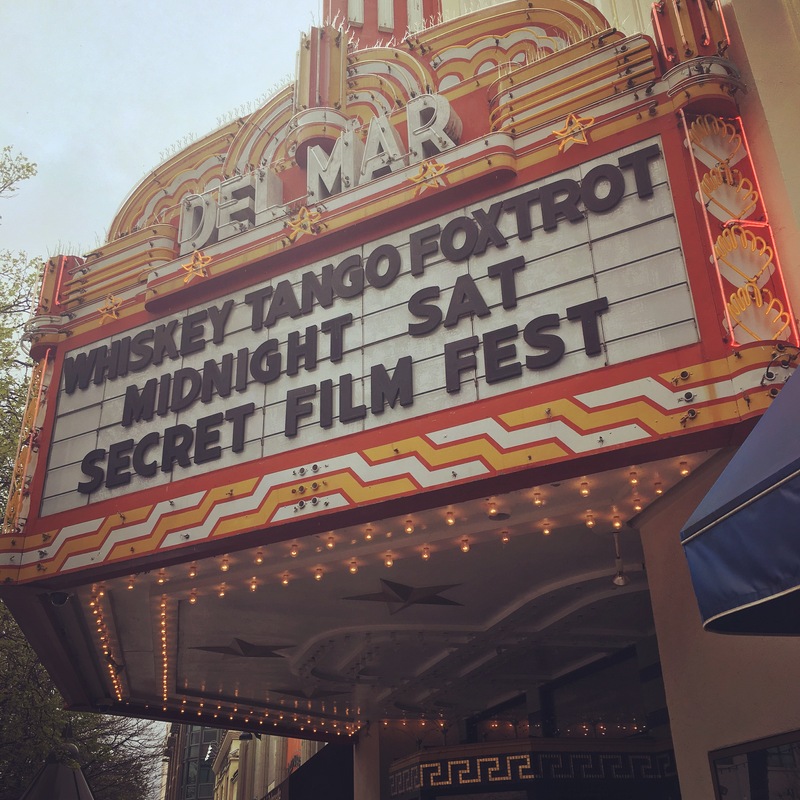 While the film is an accurate depiction of Fails’ relationship to a booming San Francisco, it is his real-life friendship with the director, Joe Talbot, that may seem stranger than fiction to some. “The Last Black Man in San Francisco” from Joe Talbot on Vimeo. Talbot first recognized Fails’ “natural presence” on film when he was just a kid documenting Bernal Heights goings on with a Hi8 camcorder. Fast-forward 12 years and the duo are still at it with a bigger vision and a deeper friendship. It was the long walks Talbot and Fails took through “the roller-coaster hills of Bernal Heights” that inspired this project. As Talbot came to know Fails’ life story — shaped by upheaval throughout San Francisco — the more strongly he felt it needed to be told. Talbot believes it is precisely because Fails grew up in so many “different worlds” within San Francisco that he is able to have a distinct personality in this film while also speaking to the universal feeling of being an outcast. If you’ve watched any movies in the past thirty years, chances are you’ve seen at least one featuring Nicolas Cage. In 2014, I watched more movies featuring Nicolas Cage than movies not featuring Nicolas Cage . . . on purpose. After “Cage Raging” for 12 months, I have still only glimpsed a small portion of the nearly eighty movies Nicolas Cage has acted in since 1981. Around this time last year, my friends and I opened a package at a holiday party sent to us from Afghanistan by a mutual friend stationed there with the U.S. Army. Under an array of colorful pashmina scarves, we discovered Nicolas Cage’s face staring up at us from the bottom of the box. Our initial shock was followed by confusion and glee as we realized our friend had sent us a “Nicoalse (sic) Cage All Movies Collection” box set. The exact provenance of this particular box is indeterminate, however, it contains twenty-five plain DVDs with handwritten numbers, which you can draw your own conclusions about. Although there is a long list of titles on the outside of the box, we never knew which movies to expect on each disc. 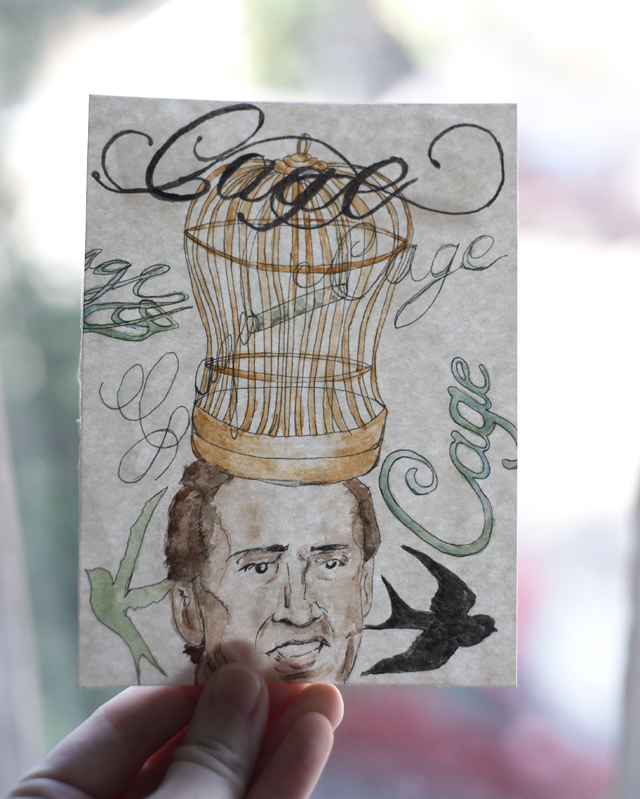 Most marathoners opt for the Cage cult classics, such as The Wicker Man, Con Air or Face/Off, which feature Cage at his rage-y-ist. But we diligently sat through blockbuster movies (National Treasure), kids’ movies (The Sorcerer’s Apprentice) and movies that didn’t even appear to have Cage in them (Grindhouse). It wasn’t until we encountered Captain Corelli’s Mandolin that we finally broke down and watched the majority of the film on fast-forward. For this slow-moving period film, watching Cage move and speak at double speed was not so different from the Cage we had come to know and love in other films. See the video below for supercut of Cage’s notable freak-outs (warning: contains explicit language).